The FDA cleared the Microsoft HoloLens for 510(k) clearance to the OpenSight Augmented Reality System. OpenSight is the first AR (augmented reality) application for use in “pre-operative surgical planning.” As outlined in a press release by Novarad, OpenSight uses 2D, 3D, and 4D images overlayed onto patients’ bodies to provide a visual guide on what doctors may encounter internally during surgery. OpenSight uses HoloLens because the headset allows a better experience, allowing to simultaneously visualize 3D patient images in AR and the actual patient. OpenSight aims to improve surgical planning and decrease the amount of time spent in the operating room. Here’s a look at what a doctor would see when using HoloLens with OpenSight. Dr. Wendell Gibby, MD, Novarad CEO, and co-creator of OpenSight, believes that FDA approval will help doctors be better prepared for surgery and be more successful in surgical procedures, reducing the risk of serious complications for the patient. 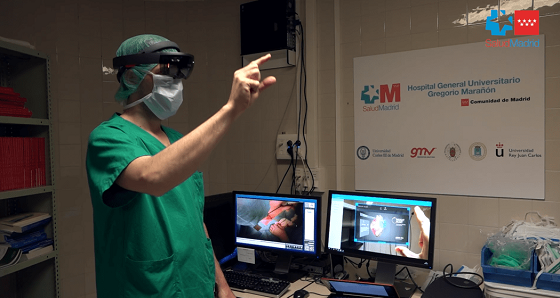 Additionally, OpenSight allows for a multi-user experience using multiple HoloLens headsets that can help create a better environment for teaching and training new doctors. A teaching version of the software is also available for medical students to perform virtual dissections of cadavers.